Mercury’s Digital Zero Effort Controls provide an intuitive experience for performance boaters and competitors alike. 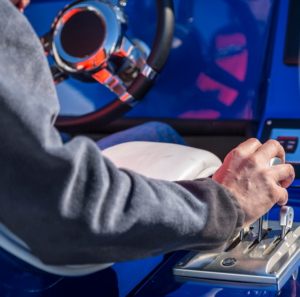 Mercury’s exclusive Digital Throttle & Shift (DTS) technology takes the sweat out of boating by replacing the lag and hesitation of traditional throttle and shift cables with digital precision, resulting in smooth shifting and instant throttle response. Digital Zero Effort Controls are enabled to provide automatic throttle synchronization and shadow mode for up to four engines (where two levers operate four engines) and go hand-in-hand with engines equipped with Mercury’s exclusive Joystick Piloting technology. The high styled controls are tough as nails – and ergonomically friendly as well. We build them utilizing stainless steel for lever, mechanism and hardware strength. The housing material is corrosion-resistant, marine-grade aluminum specially coated for enhanced protection in the extreme saltwater environment. Short throw levers, made of stainless steel, provide effortless shifting and ultra-fast throttle response. Shift and throttle handles are made of an anodized aluminum for enhanced corrosion resistance. An integrated throttle handle trim switch enables trim adjustment while maintaining hands-on throttle control. 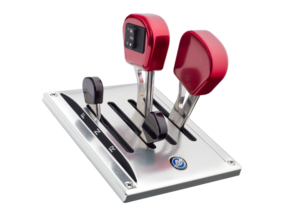 Black and red shift/throttle handles comply with American Boat and Yacht Council (ABYC) standards. Optional silver handles compliment virtually any helm. Digital Zero Effort controls are backed by a one-year factory warranty and supported by a Mercury Marine’s global dealer network. This article was originally posted on MercuryRacing.com.